The summer cooler interview series rolls on and Boston Bruins defenseman Torey Krug took time out on a Tuesday night to chat about a lot of different topics as the 2015-16 NHL season draws closer. The former Michigan State Spartans captain signed with the Bruins as a free agent in the spring of 2012 and took the 2013 playoffs by storm when he found his way into the Boston lineup agains the New York Rangers in the second round, then never relinquished his spot in the NHL lineup. He enters the new season on a mission to capture a top-4 spot in Boston’s rotation where he will have to play upwards of 20 minutes per night in an expanded role, but if anyone has paid attention to the way Krug has proven his critics wrong over the years, he’ll not only pull it off, but surprise a lot of people along the way. Here is the transcript from my complete and unedited interview with Torey. Because it’s so long, I’m going to break it up into several posts, so I won’t lose people in the length. His answers are typical of what folks who have covered the Bruins and Krug know to be the case with him- he provides detailed, thoughtful answers to the questions you pose to him. So, without further ado- here’s part 1 of the Torey Krug interview, where he talks about his off-season, his mindset after missing the NHL playoffs for the first time in his career, how the trades of his close friend Milan Lucic and fellow defenseman Dougie Hamilton have affected him, and how he expects to compete for…and earn…a spot in the top-4 come October. 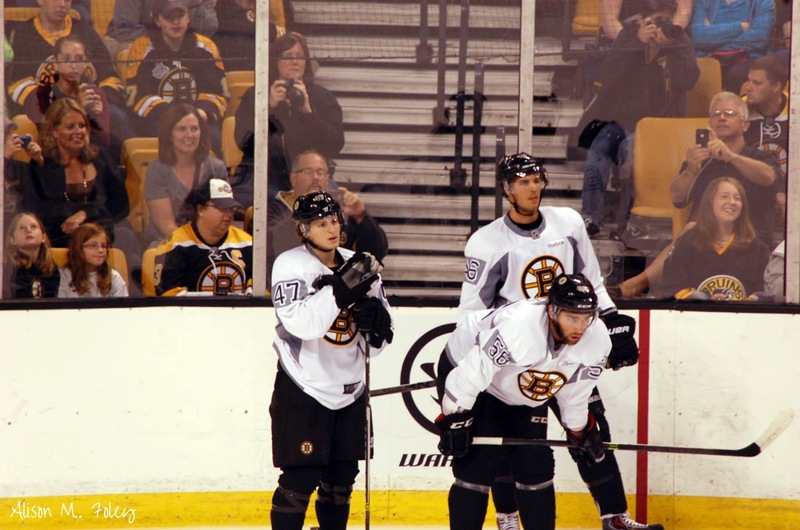 Scouting Post: We’re in August and before we know it- it’ll be time for Boston Bruins training camp and the veterans to report, so can you bring the fans up to speed on what you’ve been up to since the 2014-15 NHL season ended? Torey Krug: Yeah- I’ve been gearing up for this season and it’s a slow process with how much time we’ve had this offseason- it’s a little bit more time than we’re used to after missing the playoffs last year. That obviously strikes up a hunger for me to get back on the ice surface and play with my teammates, but when the season ended I was able to continue playing for Team USA in the World Championships (held in Austria). That was a great experience for me not only being on the ice playing against other teams’ top lines- the likes of Alex Ovechkin and others- but off the ice it was a great experience- my first time ever to Europe. Being a part of USA Hockey was an important experience for me because I had never represented my country and I was able to take a little vacation with my wife after that tournament wound down and it was overall just a great experience. I took a little bit of time off after that tournament to enjoy myself, relax and recharge those competitive batteries because you’ve been in the competitive world for so long. Then, the training starts and there’s multiple phases throughout the summer where you make sure you start gearing up so that you make sure you don’t peak at training camp. I think that’s a common misconception- a lot of guys want to peak at training camp to make sure they give a good impression but the way I have been taught to train is to make sure I peak when the time is right later in the season. So, it’s just been a solid progression: lifting weights, starting to skate three, four times a week now in August, and I’ll make my way to Michigan State next week for a training camp that they invite all the alumni back for and put together, so it’s been a very long summer and I’m looking forward to getting back on the ice with my Bruins teammates. SP: Let’s go back- because you made the team in earnest during the 2013 playoff run and it was a memorable debut for you. Then, your first full season in the NHL was a President’s Trophy campaign- disappointing outcome in the second round of the playoffs that year, but this is the first time as a pro where you didn’t make the playoffs. What was your mindset as you did the exit interviews to pack up and head home for the summer and what will be important for the Bruins as a team to get off on a better footing this year? TK: To be honest, it’s extremely disappointing. The group that we had- we obviously lost a few key pieces from our President’s Trophy-winning campaign, but when you really look at it the core group of guys- we still have them to day even though we subtracted Dougie (Hamilton) or Looch (Milan Lucic)- we still have that core group here, so it’s really disappointing to miss the playoffs last year. What it does do is it builds your appreciation for how hard it is to not only get into the playoffs but to win the Stanley Cup. I was very blessed and fortunate to play in the Stanley Cup finals my first run and you can take it for granted how hard it is to get there and how hard it is to compete in the playoffs, so I think no one wants to say at the time it happens, but it might be a good thing that this team- the core group of guys- goes through this together because it’s an emotional experience and you realize that you can’t take things for granted and you have to really work for what you earn. I think heading into the offseason it was to mentally prepare yourself for what’s to come. You watch the playoff games and you realize how hard it is- how you have to earn every single inch of ice that you get out there- how hard it is to score goals…it’s a learning experience. Everything you do you try to learn from, so even if there’s bad situations like missing the playoffs and Peter Chiarelli gets fired and people are getting traded, guys are getting moved- you’re always learning and I think that’s an important thing for this group and I know we’re not taking it for granted anymore. SP: You’re not a rookie anymore and are no stranger to trades and changes with your team in Boston, but the trades for Hamilton and Lucic happened within the span of a few hours, so can you take the fans through where you were at the time and how that played out? What were your initial reactions and where are you now that it’s sunk in that you have new teammates that you’re getting ready to play with for the first time? TK: Well, it surprised me. I think anytime you hear teammates’ names in the media, you realize it’s a possibility that guys are going to get moved and nothing really sinks in until they are actually traded. I was sitting in my living room watching draft day unfold and watching (Don Sweeney) do his thing and Milan Lucic is one of my best friends- I talk to him every single day and there’s literally not a day that goes by that we don’t reach out to each other and chat so it was a tough one. My wife and I spent every holiday at their house and a lot of Sunday football days at his house…it’s tough to see friends go. But that’s the nature of the business and I know that’s something that a lot of people say, and it’s tough for fans to understand how big of a change it is for these people and their families to pick up their kids. Milan and his wife have roots (in Boston) and have been here for eight years. It’s tough. At the same time, it’s exciting for him to be able to go to a new situation. Being on the other side of that, it’s disappointing to watch your friends go, but it’s an opportunity for new people to come in; you get to meet new people, new teammates…you get to gain a new experience that way. With Dougie leaving it opens up a hole for me within the team and obviously other players as well- there’s a lot of ice time that needs to be made up with his absence. With guys leaving and guys coming and going and everything else there’s a lot to take in, and it’s hard sometimes for the everyday fan to see that. SP: That’s a great segue because I was going to ask you about the recent Boston Globe article kind of laying out what might be next for you in terms of your role on the Boston Bruins. As you said it- Dougie Hamilton is gone and there’s a spot in the top-4- you wouldn’t be who you are if you weren’t eyeing that. Can you talk about what it means to have that kind of a role in the NHL and based on your past teams where you played a lot of minutes for other clubs, what you bring to the table for the Boston Bruins? TK: I can tell you that defensemen that play a lot of minutes are very well respected and highly appreciated on teams. With Johnny Boychuk moving and the valuable minutes he played and the valuable role on our team that he played and then you see that when he’s gone how it works out and you really appreciate the job that these guys do. So, for me- as a hockey player that’s trying to move up and improve his role, you realize what a big deal it is. Dougie leaving…a friend is leaving the team…but I just see it as an opportunity and I hope that the other defensemen that are with the organization, whether they’re fighting to make the team or they’re trying to improve their role on the team- I hope everybody’s getting excited about that. It creates better competition within the group and it’s only going to make myself better so I hope guys’ eyes light up like mine do when I see that opportunity, and I’m really looking forward to going out and earning it. I don’t think anything is given to anybody on our team. The guys that are coming in like myself trying to improve their roles in the organization, we earn those. So for me it’s about going out and earning this opportunity and making sure nobody takes it away from me. All of this comes as Sweens and Claude (Julien) are going to make those decisions and I’m going to do everything I can make sure they are making a decision that best fits. We’ll be back later this evening with the second part of the interview, as Krug will expand on how he’s had to earn it at every stop along the way before Boston, he’ll answer the critics who don’t think he has it in him to be a top-4 NHL defenseman, talks more about teammate and defense partner Adam McQuaid, the 2016 Winter Classic at Gillette Stadium and the influence his family has had on his success.